LXXXVIII, 634 p., 17,4 x 24,4 cm. The philosophy of Alexander Gottlieb Baumgartens (1714–1762) as well as its significance for the history of philosophy and of ideas has not been studied in depth up to now. This applies in particular to his ›Metaphysica‹, first published in 1739, which was in fact his most successful work but is difficult to read today due to the stiff, ungainly Latin in which it was written. Its outstanding role is demonstrated among other things by the fact that during his four decades of teaching Kant based his lectures on metaphysics, and later those on anthropology, almost consistently on this work and developed his own transcendental philosophy by examining this work continuously. The volume provides the first complete German translation along with a critically revised Latin text. 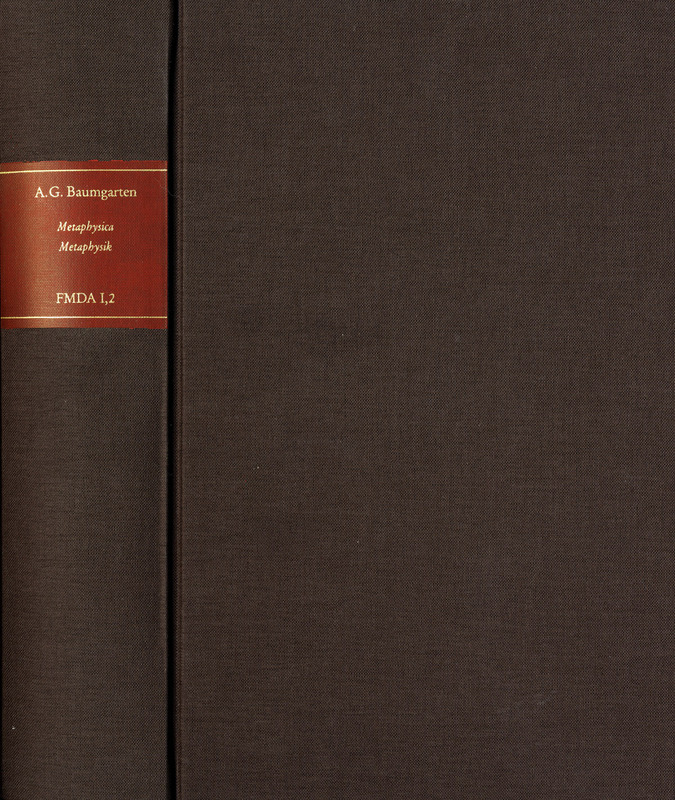 The detailed introduction describes Baumgarten’s intellectual biography and sheds light on some of the key themes of the work.